ZenMate is a leader in cross-platform VPN. The publisher provides an effective solution to protect your online privacy and secure your connection to iOS. In fact, you can easily hide the IP address of your iPad or iPhone and browse in complete serenity under cover of anonymity. 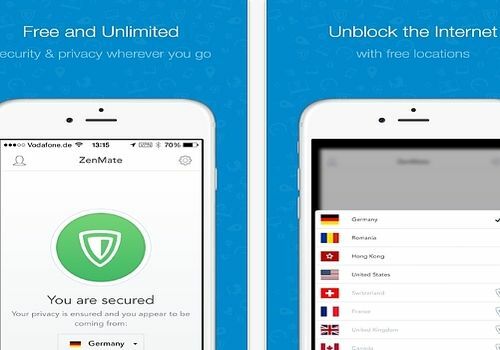 ZenMate Security & Privacy is a paid service that integrates different protection modules (anti-tracking, connection protection and blocking dangerous sites). To take advantage of it in an unlimited way, you will need to subscribe to a monthly or annual subscription. Before you get your hands on the pocket, you can of course test the application during the 7-day trial period. Free VPN proxy By Snap is an application that offers you the ability to secure your connection and browse the web anonymously from an iOS device. A complete solution to hide your IP address and secure your connection and data.